I list here the key people involved in the BBX operations and The BBX Investigation. Some I have known for years. Some I’ve never met. Some are complicit from the outset. Others have got conned themselves and there are victims all over the globe. Enjoy my take on the various characters caught up in my investigation. 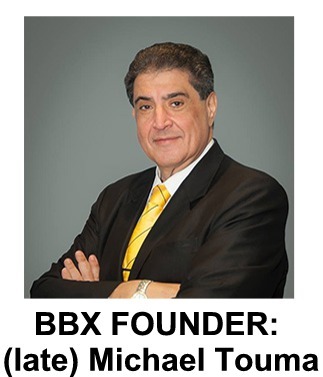 Central to the BBX business is the Founder and chief poncho, the (late) Michael Touma. His style was to lead from the front and sell, sell, sell. He had a way with people, was full of enthusiasm and gave to those around him freely. He also took freely, from his members and franchises, which eventually caught up with him when he had a heart attack, became incapacitated and died. Michael and his family created the impression that the Touma family was sqeaky clean in business. Michael could convince those around him that they were on a winner; they could do it and he had many supporters going back decades. A central character though with flaws – he milked the BBX exchange for all it was worth. Ethics came second to the pitch, whatever it may have been at the time. Second Daughter to Michael and Mireile, Carolin took a big interest in the BBX operations long before Michael’s passing and took over the business on his incapacitation. She carries the same salesmanship as her father, yet has handled the stresses and responsibility of an International business poorly. The business at the time of writing is in freefall with staff, franchisee and member dissatisfaction at an all-time high. As The BBX Investigation has shown, the BBX business was struggling as an international business even before Michael’s passing, so it is simplisitc and a little unfair to lay the failure upon her shoulders. It would however be fair to say that she has hastened it. Key points of failure have been her long-term conflict with Franchisees and members; her questionable ethics especially when challenged and immature crisis management. She had little choice in her circumstances however her choice to go down with the ship was indeed hers. Carolin has more than one company in liquidation in Australia and New Zealand. I believe that in due course the law will catch up with her and she is likely to be facing jail time for a string of illegal (and immoral) conduct in and around BBX. Eldest daughter of Michael and Mireile, Magali was named in the whistleblower’s resignation letter as the one who spilled the beans. It is from Magali that knowledge of the ‘not-so-good’ inner workings of the BBX family ’empire’ came to my attention, and then of course into the public arena. Magali’s role in the company was to travel to the franchisees motivating and supporting them. It is clear that she failed in this task. I place the blame on her only partially as her sister and father did tend to talk more than deliver. That said, she has bankruptcies of her own too, that she alone can be responsible for. 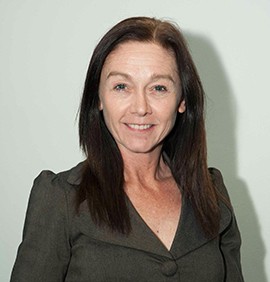 I believe that activities around the bankruptcy of her NZ company Education 2014 Ltd will come back to bite her, as too with Carolin and the liquidation of Education 2016 Ltd, and perhaps Education 2012 Ltd. Magali may escape jail but she is certainly exposed. 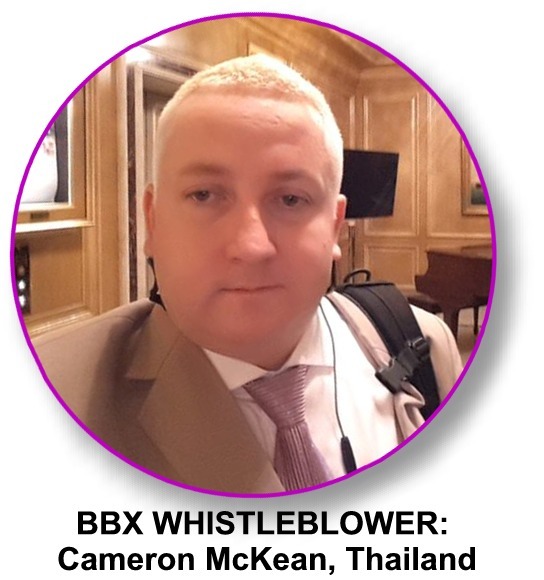 BBX management didn’t take kindly to Cameron McKean’s resignation. The way he did it and the shock for BBX was a big threat to the “The Toumas would never do that!” meme. As they reacted to his expose by way of his resignation letter and fourteen key questions, he copped quite a lot of negative press. Many believed the spin from the BBX people. While I cannot endorse someone I’ve only recently met and engaged with 100%, I have blogged previously that his conduct and execution of resigning was exemplary. I grilled him at length at the outset of The BBX Investigation and he came up with all the crystal clear evidence that I asked for. In my books he’s clean. He clearly had gotten conned by the ‘big man’ into taking over the BBX Thailand agency. In due course as I release the core evidence in court cases and release the actual BBX membership data that I’ve used, the personal knocks that he has taken by the BBX management may be rectified. Nobody is a saint, but in this case I give him 10/10 for not only what he did but the professional way that he did it when he was in a very difficult situation. The BBX UK business will have taken a huge battering with The BBX Investigation. 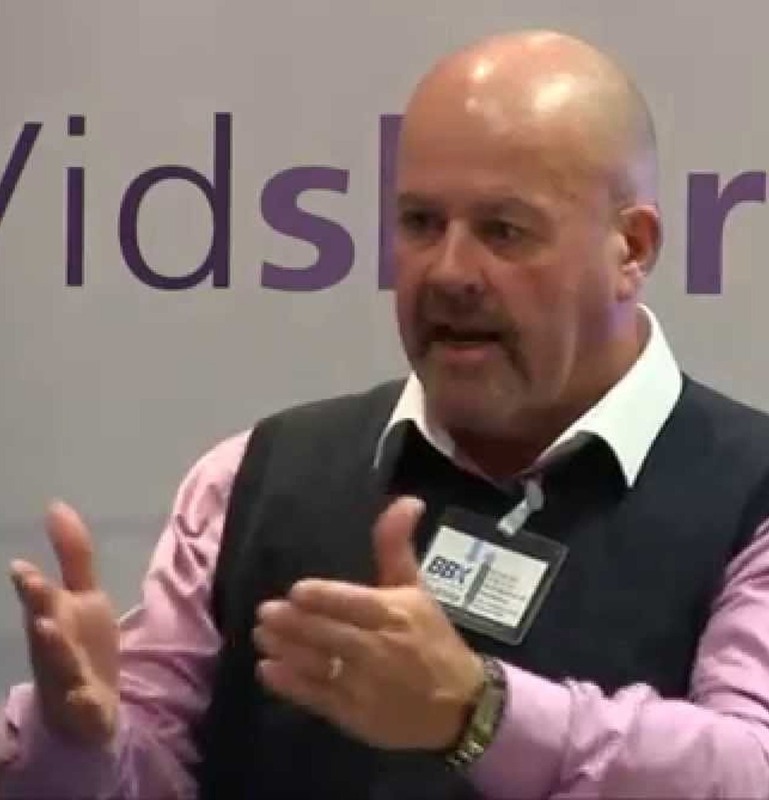 John Attridge was launching his franchise programme and had huge plans for BBX UK when the story broke. He presents himself as another squeaky clean operator however his string of misleading marketing materials and “fake-it-until-you-make-it” barter exchange operations are inexcusable. He knows and knew the full story of BBX International. IRTA has clear guidelines. He knew that the BBX operation was bad across the globe and thought that he could distance his UK operation from any “minor indescretions and troubles” on the other side of the world. Not so when the light came on his operations. He gave away BBX memberships with pre-loaded balances and called people he had hardly met members. He also tried to cover it up. This is not the operations of a reputable barter exchange despite what he thinks. His membership accounts show it all and it is not good. I have known John since before The BBX Investigation and prior to publication I discussed the situation with IRTA’s main man Ron Whitney giving them warning and the possibility to extricate themselves and rebrand. Sadly it appears that the BBX UK people have chosen to go down with the BBX ship. John’s downunder style will be a challenge for people in the UK, and his attempts at playing with the big boys, sadly looks likely to have failed. Ron is IRTA. While there are Board and Chairman and they do things outside of Ron’s offices, basically IRTA is little more than a one-man-band. All falls on Ron’s shoulders. 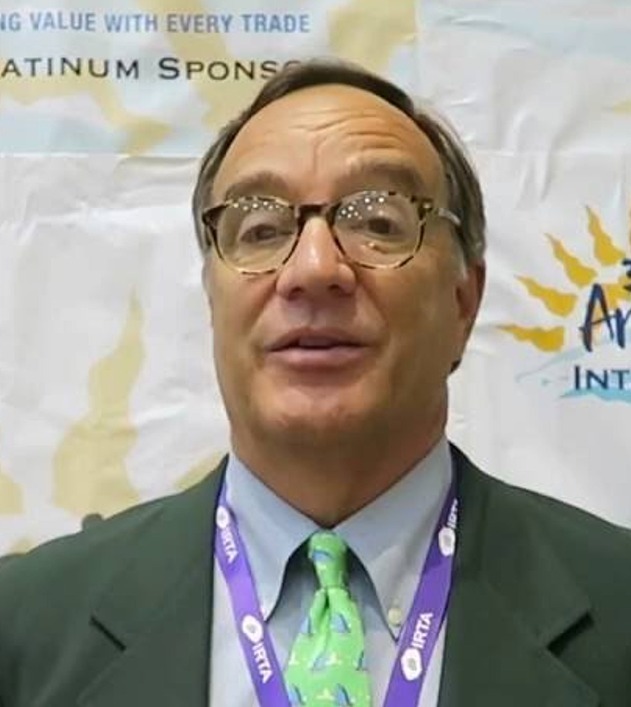 This happened too with The BBX Investigation, even though IRTA Chairman John Strabley was the frontman to shout out about “quality” with BBX’s joining the IRTA fold. 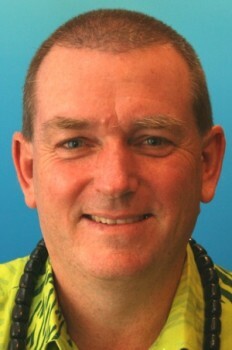 I find it hard to speak positively about Ron Whitney. He certainly puts the hours in, but straight-up business deals are difficult to see with Ron. I know him from previous dealings of course but the typical conduct from this man from IRTA can be seen with the way he contacted the whistleblower Cameron McKean behind my back and tried to get me to lay off from doing anything that would put IRTA in a bad light. This happened not only once, but twice. That such incredible stupidity can come from the man at the top of the industry body would have you shake your head in disbelief, except that this is par for the course for this man. Attempting to lever one party to influence the investigation from another party is not only illegal it is foolishness in the extreme when you are dealing with an investigative blogger like me who will take no prisoners. It also put unusual and unnecessary pressure on the whistleblower who fortunately for all handled it with integrity and did the honourable thing. In my next post, I will share more about this lunacy and include behind the scenes things that will make your blood boil. Furthermore, when the GETS Summary report is released, I believe that justice will be served. Ron has problems and supporting a conman (Rob van Hilten) onto the IRTA Board and in perpetuating the Tradeqoin and Qoin Con, now covering up for another member going down are simply a part of his life’s challenges . . . AND there’s more to come with exposure of Bartercard’s secrets! I did not get to meet or talk to Dr Lee during this investigation. I have been told by more than one source that she was involved with IRTA for a while, then pulled out in disgust. 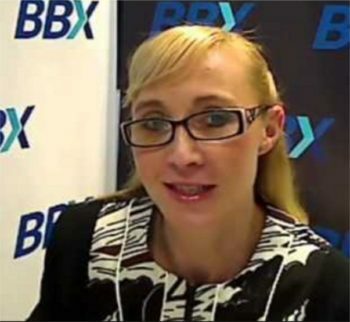 I understand that she got conned by Michael Touma, as did many and entered into an agreement for her two exchanges to partner with BBX. As always those with money lose it to those without it, by hook or by crook. At the end of the day, BBX got the loot and Dr Lee has the problem now. I suspect that she will have to write off what she has loaned to BBX. I suspect that she is or will very shortly be protecting her good family name, probably grossly disappointed with the Toumas, for from what I have heard she doesn’t do business the way these BBX people do! Most of the BBX Franchisees have gone from the BBX stable or are going. Ethical issues abound and always have. Deception is normal. Delivery is always short. Look, sure, it’s a hard job sitting in the middle between the customers and a brand. This is especially so when Head Office is dodgy in their dealings. There are other Franchisees apart from the ones that have already gone. Their choice now is to either defend the show (and go down with the ship) or abandon the ship. I feel for them but the cold hard reality is that the company has been stealing the wealth out of the BBX currency for decades – my investigation has shown this and the figures are compelling. The debased currency is only worth something as long as there is a sucker ready to use it. This is no longer probable. Staff too will need to look elsewhere. Nobody likes change but if there are lies and deception, yes even crimes afoot then it will be very hard for those who are left when receivers and police start to take over and sniff around. I can assure you that some staff and ex-staff would certainly have been part of the dodgy deals. Not everyone is clean – that’s for sure! There are two ways of looking at these people – as victims that deserve sympathy or suckers who deserved what they got for believing the liars and thieves. There’s a bit of both in my book. I knew a long time ago that the BBX NZ currency was debased, that’s why I pulled out – more than a decade ago. Michael had a way of convincing people to join him on his adventures. He did well in Australia and he and his cronies managed to pick up $7m worth of wealth from the Kiwis over the years, at least. Investing into BBX though was recognised as a mug’s game a long time ago – NZ is a small place. Australians and those in the UK got strung along as well. There was, certainly until I started blogging a steady trade from a subset of the UK members and they will be none-too-happy about seeing things turn pear-shaped but it may be for the better that their losses are smaller now, rather than bigger later. What happens for members in debt will depend on what the receivers do. If they sue for cash then all BBX members will need to come up with the readies within 30 days. That could be a little challenging for some! Those in credit will be lucky to get anything and certainly not more than the currency valuation of their local jurisdiction. I’ve lodged a complaint with the Serious Fraud Office and a Private Prosecution is under way in New Zealand against the Directors. I suspect that this is only the start. Should staff leave, trading slows down and the banks move to protect their position then an appointment of a receiver is likely. Australian Police will no doubt be called in fairly quickly I would imagine. I understand that various people are in various stages of litigation or at least considering it. I doubt that it will be worth it when the axe finally falls. There are assets in the Touma family Trusts and businesses outside of BBX but clawing them back is another story for another day. My work on The BBX Investigation has been a massive effort, a short sharp sequence of fast-unfolding events that has brought the truth surrounding BBX into the open after two decades of deliberate deceit within the Touma and BBX families. It has been an intensive period and I look forward to a break from the computer and fielding international Skype calls all hours of the day and night! I don’t take pleasure in hurting people, so it was difficult to name and shame the crims, crooks and crazies in this festering mess, but I do enjoy exposing lies and corruption where ever it bumps into me. I try to balance speaking the cold hard truth and the human aspects of an investigation like this by giving people the opportunity behind the scenes to do the right thing . . . come clean or whatever. That people like Carolin MacDonald, John Attridge or Ron Whitney choose to give me the cold shoulder or worse is to me their choice. Que sera, sera. In my next post in this series I summarise the results of the BBX Investigation in bullet points, then release the entire BBX data set and put the series into free downloadable eBook format. Standby . . .